Fortuna Pearl is an eco-friendly water based luxury enamel which is mould and stain resistant. New masonry surfaces must be allowed to cure completely. It is recommended to allow 28 days as the curing time for new masonry surfaces. Surface should be free from any loose paint, dust or grease. Growths of fungus, algae or moss should be removed by wire brushing and water. For Metal Surfaces - Sand surface thoroughly to remove all free corrosion particles. 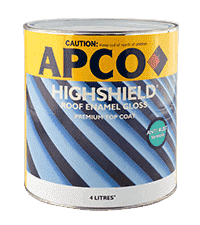 Apply one coat of APCO Metal prep anti-rust primer. 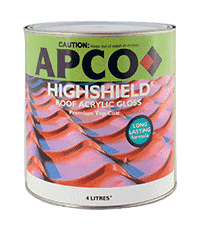 For cementitious surfaces apply Sureprep Acrylic Interior/Exterior Acrylic Sealer. For Metals surfaces, apply Metalprep Anti-Rust Primer. For wood surfaces, apply Oilprep Wood Primer. Apply two coats of Fortuna Pearl top coat with an interval of 3-4 hrs between coats with brush, roller or spray.